Collaborating with colleagues is always an important factor in successful working nowadays. Robert and I have been sharing an Access database for a little while now and have realised that using Google Drive is a simple way to keep the updating in real time a practical reality. Please note - this article assumes that you have a Google account, know how to install Google Drive on your computer and have some familiarity with it. If you aren't sure about how Google Drive works, please search for it on the Internet for more general information. If you have been following the recent announcements from us both you will know that the continuous improvement project management software 'StreamLiner' is now available. This piece of software can help you to identify and manage your continuous improvement projects without having to have lots and lots of pieces of paper floating around your business. The software is built in Microsoft Access and we have also been testing this on Google Drive, as a no cost method to improve collaboration and development. The headline is that it works, and in this article I want to share with you how we did this. Firstly, you need to open up your Google Drive folder on your local computer and copy your version of StreamLiner into the folder you wish to store the file. Secondly, you will need to share the StreamLiner file with your colleagues. You do this by right clicking on the StreamLiner file and then selecting 'Google Drive' and then 'Share...'. 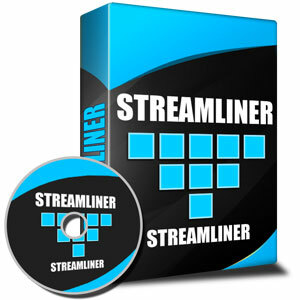 Please note that you will need a license for each user of StreamLiner, which you can purchase at a discounted rate once you purchase the first license. Find out more about the StreamLiner continuous improvement project software by clicking here. Thirdly, you need to add in the Google account usernames of the people you want to collaborate with, and then ensure that their sharing setting is 'Can edit'. After you have completed the adding of your colleagues details you can click on the 'Send' button. This will notify them that the file is shared and they will then be able to see the StreamLiner file in Google Drive on their computer. 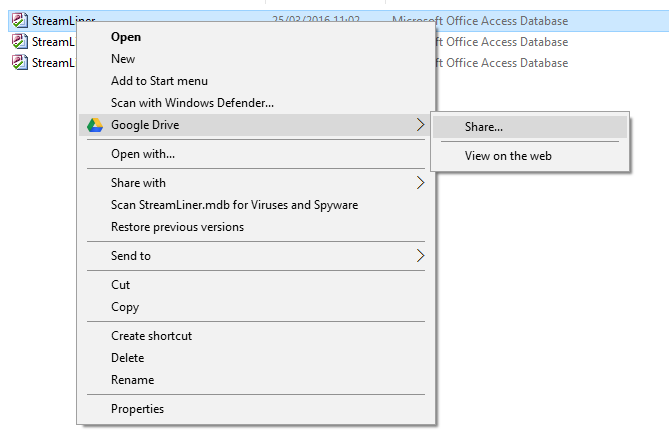 It is important to note here that if you share the entire folder with your colleagues you will probably find a file locking issue with sharing an Access database. If you want to ensure that you avoid error messages and potential file corruptions then please share only the 'mdb' file. I would like to draw your attention to the version function of Google Drive, should you ever find that your file has corrupted. 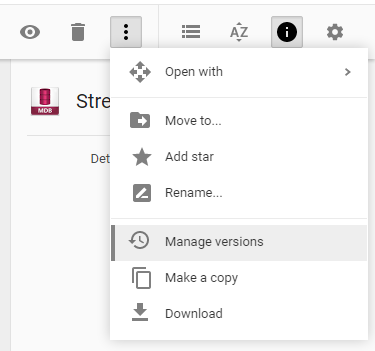 When you view the file on the web version of Google Drive you will be able to find a menu button (three stacked dots) which will give you access to the 'Manage versions' option. By following this option you can find an earlier version, download it to your computer and then replace the file that no longer works. The older versions of your file are stored for 30 days (as at the time of writing) and provides you with a route to avoid losing your data, should something go wrong. My final point in this article is that you will need to ensure that your subscription via your Internet Service Provider will allow you to update your database on a very regular basis. Each time you exit StreamLiner it will synchronise via the Internet (so that your colleagues can access the right version when they are entering data), this can consume a significant amount of data, if you have a heavily populated version of StreamLiner! 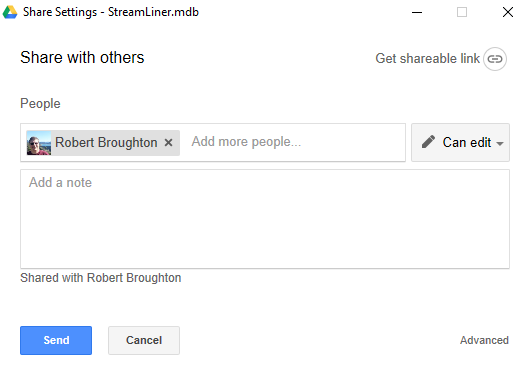 So, if you are looking for a quick way to deploy StreamLiner (or any kind of Access database) in a remote fashion then using Google Drive is a worthy option to evaluate. We have found it to be very effective, and I hope that you find this too. 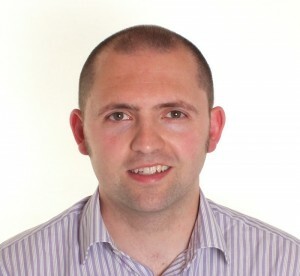 Author of Business Process Re-Engineering and co-creator of the 'StreamLiner' continuous improvement software tool.